Sungyoung Kim received a B.S. degree from Sogang University, Korea, in 1996, and a Master of Music and Ph.D. degree from McGill University, Canada, in 2006 and 2009 respectively. 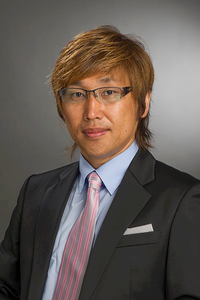 His professional work experiences include recording/balance engineer at Korea Broadcasting System (KBS), Seoul, Korea (1995--2001) and research associate at Yamaha Corporation (2007--2012), Hamamatsu, Japan. He is now an assistant professor at Electrical, Computer, and Telecommunication Engineering Department, Rochester Institute of Technology. His research interests are spatial audio and human perception, and efficient ear training method. He is a member of Audio Engineering Society (AES) and the IEEE.